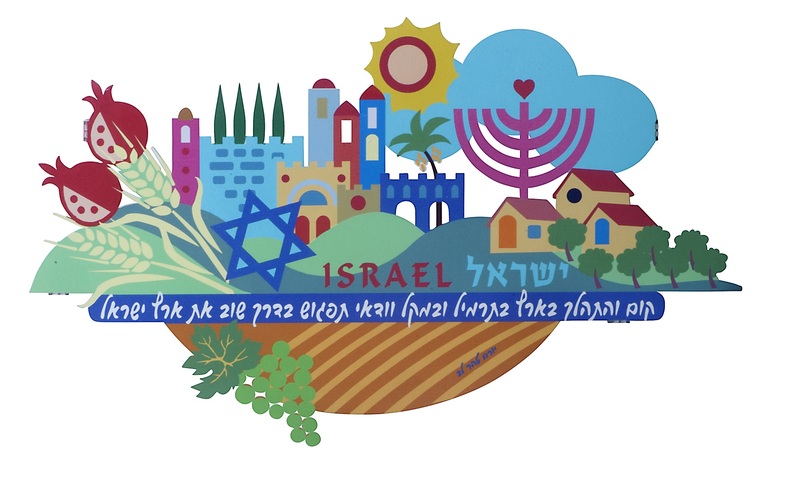 A charming and colorful wall hanging depicting some of Israel’s well known natural and man made scenes. Originating from Genesis when God says to Abraham: Get up and pace the country with a bag and with a cane, surely you’ll meet again faithful land of Israel. The beautiful land of Israel is small and yet it is full of wonders from the Dead Sea to the green hills of the forests and the land locked sea of the Galilee, the Kinneret. In Israel we take this verse seriously and walk the land given to us by God.